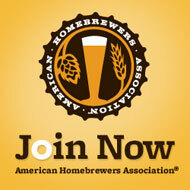 Basic Brewing™ : Home Brewing Beer Podcast and DVD - Welcome Homebrewers! You don't have to be a "professional"
to make great beer at home! In addition to our podcasts, we have produced extract and all grain DVD videos to help you learn basic and advanced techniques in a fun and easy way. Our videos are available in homebrew stores across the country, but if there's not one near you, you can order them directly from our online shop. James Spencer and Steve Wilkes, hosts of the Basic Brewing podcasts, pull out all the stops in this sequel to their original Introduction to Extract Home Brewing DVD. In this DVD, James and Steve will take you through both basic and advanced techniques. In the main section, James and Steve walk you through brewing a batch of beer from beginning to end, giving you the opportunity to chose steeping or partial mashing and bottling or kegging from interactive menus. Decoction Mashing and Lagering Made Basic! Basic Brewing: Low-Tech Lagering and Decoction Mashing introduces experienced brewers to advanced techniques that have been passed down through generations. Follow a single-decoction brew session step-by-step, adding flavor characteristics that will enhance your lager brews. Then, see the lagering process using the Low Tech Lagering System (LTLS) - a home-built system that allows maintaining consistent, controllable temperatures without the expense of a chest freezer. Take the Leap into All Grain! Basic Brewing: Stepping into All Grain takes you through the all grain brewing process from milling your grain to collecting your wort. It is designed for brewers who already brew using the extract method, but beginners will get a lot out of it, too. This DVD uses a non-linear approach to step you through the process. You can choose step or infusion mashing, then batch or fly-sparging. And you can always visit any segment directly by using the chapter menu.